Much like spinal cord injuries, paralysis can often be permanent, and can dramatically affect the quality of life of those impacted. 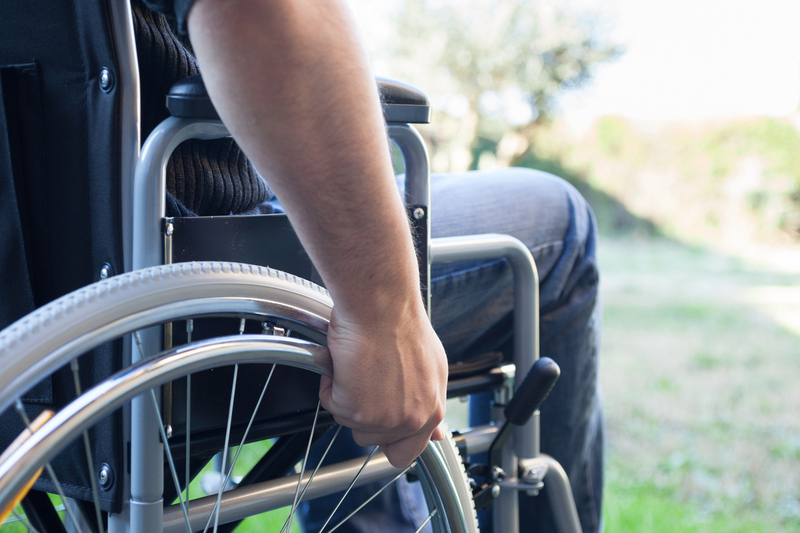 Partial or complete paralysis can be the result of traumatic injuries sustained from any number of catastrophic accidents, including car accidents, construction accidents, slip and falls, drunk driving accidents, and more. However, if you or a loved one has been paralyzed in an accident caused by the reckless or negligent behavior of another party, you may be entitled to financial compensation. At The Law Office of Kamensky, Cohen & Riechelson, our experienced personal injury attorneys serve victims of paralysis in Pennsylvania towns including Northeast Philadelphia, Levittown, Feasterville, Penndel, Millbrook, Bensalem, and the greater Bucks County region. We have been recovering fair and full compensation for our personal injury clients since opening for business in 1972. Allow us to handle your personal injury claim while you and your family focus on your health and wellbeing. Call our office today for a free and confidential consultation with a member of our experienced personal injury legal team regarding your paralysis, your injurious accident, and your potential personal injury claim. Paralysis can be caused by a variety of factors, but the root factor is almost always nerve damage, particularly nerve damage to the spinal cord. Traumatic injury which either severs or damages the central nervous system is a common cause of paralysis for victims of serious bodily injury. Other causes include stroke, cerebral palsy, ALS, botulism, Multiple Sclerosis, and more. Who is Liable for My Paralysis Injury in Bucks County, PA? Finding fault and liability for your personal injury claim is heavily dependent on the nature of your case. As mentioned above, in order to successfully settle or conclude a personal injury claim, our Bucks County lawyers must prove that your injuries were the result of an accident caused by the negligent or reckless actions of another party. For example, an accident caused by a drunk driver would almost certainly result in the drunk driver being found at fault for any resulting injuries. Pennsylvania adheres to “comparative negligence” statutes, which state that even if the claimant is partially at fault for the accident at hand, he or she may still be eligible for compensation. In a slip and fall accident, we may aim to show that the property owner or manager is liable for your injuries through a premises liability claim. Store owners, residential homeowners, even government entities are responsible for maintaining a safe and secure environment for patrons or visitors. Failure to do so may lead to a successful personal injury claim. No matter what circumstances led to your injury resulting in paralysis, our Bucks County personal injury lawyers will strive to hold the appropriate parties liable in order to recover the financial compensation you need and deserve. If you have been seriously injured in an accident, there are a few steps you can take to put you and your family in a good legal position regarding future personal injury claims. Victims of paralysis are often awarded large settlements for personal injury claims, and by taking these simple actions, you will be ensured that you are not compromising your case. Contact a personal injury attorney. Finally, securing the legal services of an experienced personal injury law firm is essential to both protect your legal rights and give yourself the best chance at a recovery for lost damages. The personal injury attorneys of Kamensky, Cohen & Riechelson have over 45 years of experience serving clients in Pennsylvania towns like Northeast Philadelphia, Levittown, Bensalem, Feasterville, Millbrook, Penndel, and all of Bucks County. We will fight on your behalf to seek damages related to your paralysis injury including medical expenses, lost wages, pain and suffering, and more. If you or a loved one has been paralyzed in an accident, contact us online or call our Bensalem offices by dialing (215) 337-4915 today for a free and confidential consultation regarding your options for securing financial compensation, and how exactly we can help you to do so.